Search results in "Cluj Napoca"
If time machine was in fact this tea-house ? You might have once wondered if a place is real, or if you just dreamed somehow about it... Qui One Quint is a very "unlikely" place... First you have to know it to find it (and even if you heard about it, it is not easy to locate it at your first try...) You will eventually find it in the underground of a quite ancient building, and from the moment its door opens, you will feel transposed to a completely different context, like reborn in another dimension... Everything in there seems to come direct from brave old times ; furniture, books, etc You might be overwhelmed by peace and quietness this place inspires For sure the fact that this place is invisible from outside keep it unknown from most common mortals, and it is not rare to be the only client/s in the whole place... (there is even a "club" for closest clients who want to emphasize their special relation with this special place). Everything is smooth and cozy in there, and the little that can be seen outside, mainly central park, enhances your feeling of quietness. You can choose between a huge variety of quite good teas (you might be shown how leafs and flowers smell), and will become a more than sufficing tea, with honey and excellent Austrian biscuits (In fact this place is the "visit card" from Demers products importer in Cluj...) So lets have a try when you want to relax and evade from a crazy rithm of life, you can also transmit this tip, but with discretion, because, as said the friend that first took me to this place " if it becomes well known, it might loose a big part of its charm!" Cluj-Napoca is a very beautiful city right in the heart of Transylvania and I encourage everyone to spend some days here and make the best of it! As far as the transport is concerned I have to say it is really easy to get around. The most common mean of transport is the public on. RATUC is the company responsible with the public transport in Cluj-Napoca. http://www.ratuc.ro/eindex.php In the link above you can find all the information about the buses, trolleybus and trams that you will find in Cluj-Napoca. What you also need to know is that you can buy a ticket for two journeys for less than 1 euro (3.5 RON ) and you have to perforate one part of the ticket when you enter the buses, trolleybus or trams. Cluj-Napoca has no metro but you can also get around quickly buy getting a taxi. The taxi system in Cluj-Napoca is one of the safetiest in the country. If you take a taxi from the airport to the city center it will cost you around 3 to 4 Euros(~20 RON). Avoid getting in taxis that have no company name and you will be just fine. Below you have a link with the most important taxi companies in Cjuj-Napoca. http://www.taximetre.ro/taxi/cluj-napoca/ If you prefer to have your own car, there is always the option to rent a car. Most of them are found at the airport and have approximately the same fees. For a Dacia Logan car you will pay from 15 to 25 Euros/day depending on how long you want to rent it. 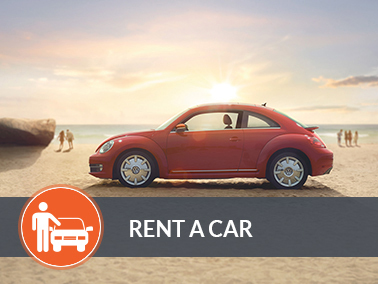 One simple advice would be to search for some car rentals online and call them to find out the availability of the car you wish to rent. You're looking to have some good meat in Cluj? El toro is definitly a premium choice. They serve a big variety of meat from Argnetina, the US, New Zealand and Europe. The restaurant is at the 1st floor of a building an dyou really need to follow the cows outside to notice that there's a restaurant there. The decoration is nice, a sort of argentinian/texan style, and you can see the grill from the dining room; The service is efficient and friendly, and the place, including the toilets are clean. The meat is well prepared and grilled and very tasty. You also have a variety of equally well prepared side dishes, from grilled veggies to potatoes and fries. My Romanian friend found the place a bit expensive, but I did'nt since I am used to prices of this kind of quality in Western Europe. A 200g tenderloin steack will cost you 15 EUR, and a 3 course meal will cost you around 20-25 EUR without drinks. For this kind of premium meat, I find it a good quality-price ratio. I'll definitly go back there when I am in Cluj and wanting some good meat. I consider that in 2-3 days are just enough to visit the most important attractions of Cluj-Napoca. The city is located in the heart of Transylvania and it is easily reachable by plane, car, bus or train. 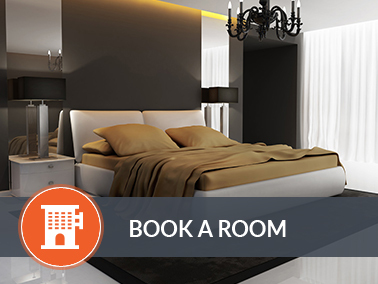 Start by finding accommodation somewhere in the center of the city. You can also book in advanced, prices don\'t vary much. I consider that you should walk around the city center a bit, it\'s beautiful, full of young students and coffee houses and terraces. Attractions: -The Ethnographic Museum of Transylvania both the indoor and outdoor one -It might sound groovy but the Hazsongard Cemetery is another attraction that should be on your list. - A walk in the Botanical Garden - Another walk in the Central Park with a lovely lake and the wonderful building of the old casino! - Memorial Matthias Corvinus House -The St Michael Church As far as food is concerned, the center of the city is full with lovely restaurants for any budgets. In the evening you can have a lot of fun dancing or simply having a great beer and just chatting with friends. I consider that in 2-3 days are just enough to visit the most important attractions of Cluj-Napoca. The city is located in the heart of Transylvania and it is easily reachable by plane, car, bus or train. 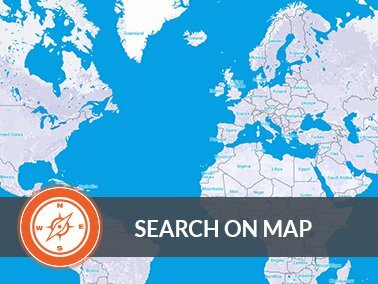 Start by finding accommodation somewhere in the center of the city. You can also book in advanced, prices don't vary much. I consider that you should walk around the city center a bit, it's beautiful, full of young students and coffee houses and terraces. Attractions: -The Ethnographic Museum of Transylvania both the indoor and outdoor one -It might sound groovy but the Hazsongard Cemetery is another attraction that should be on your list. - A walk in the Botanical Garden - Another walk in the Central Park with a lovely lake and the wonderful building of the old casino! - Memorial Matthias Corvinus House -The St Michael Church As far as food is concerned, the center of the city is full with lovely restaurants for any budgets. In the evening you can have a lot of fun dancing or simply having a great beer and just chatting with friends.